Sydney is the gleaming metropolis of Australia. A place in which it’s hard to feel bored with the abundance of activities and events to do around the city. You could easily go beach hopping for a whole day and still not hit every unique beach around the city. You could say the same for the museums, cafes, monuments, and public parks too. But even with the most intriguing bustling cities, it’s nice sometimes to get out and enjoy the sunshine in nature away from the masses. While I was living and working in Sydney, I took as many day trips as I could to explore the surrounding areas around the city and I’ve put together a list of my favorites from those memories. And because public transit is so on top of it around most of New South Wales, I was able to get to all of these locations by bus, train, or ferry on my own. 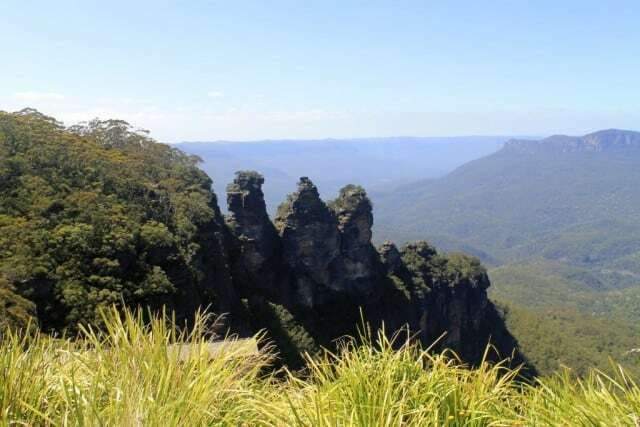 One of the more popular day trips to take outside of Sydney, a Blue Mountains trip is the perfect escape to nature if you’re short on time and you enjoy well-paved hiking trails and expansive vistas. The Blue Mountains are only a two hour drive or two and a half hour train ride from Sydney, so the trip can easily be done in a day although two will give you more of a leisurely time to explore. You will still find crowds at the more popular spots of the Blue Mountains, such as the Three Sisters lookout, but there are plenty of moments of solitude that you’ll find in the Australian bush from the many hiking trails on offer. Katoomba is the main jumping off point for those going to see the mountains. There is an overpriced hop-on-hop off Blue Mountain Explorer bus that you can sign up for in town, which is tempting when you’re short on time and want to see everything, but I would recommend exploring on your own for the best nature experience. There were so many stunning lookouts and little moments on the trails that I never would’ve found with a shuttled around tour group. And if you’re wondering how the mountains get their famous blue tint, it’s from the mass of Eucalyptus trees that give off oil to the atmosphere, which then interacts with water vapor and dust particles to reflect back the blue haze that comes off the mountains. Pretty cool, right? Nowhere near as polished as the Blue Mountains, the Royal National Park is about an hour from Sydney and represents rugged Australian beauty at its best. The trails are made more for those tackling multi-day hikes, but that’s not to say it’s not possible to see the park in a day – you just won’t see much of it. The Royal National Park is the second largest national park in the world, after Yellowstone, and covers a huge area that will take you through multiple types of terrain. Since the park is not as popular with tourists as some of the other destinations, you probably won’t come across many other hikers while you’re there. This is great if your goal is to disconnect in nature, but it also means that you should pack appropriately as well. I didn’t do my research ahead of time and I almost got lost in the middle of the bush with wild kangaroos jumping around me. True, it doesn’t sound all that bad, but when you only bring one bottle of water, no food, and you realize your phone is dead after losing the trail, panic mode quickly ensues. 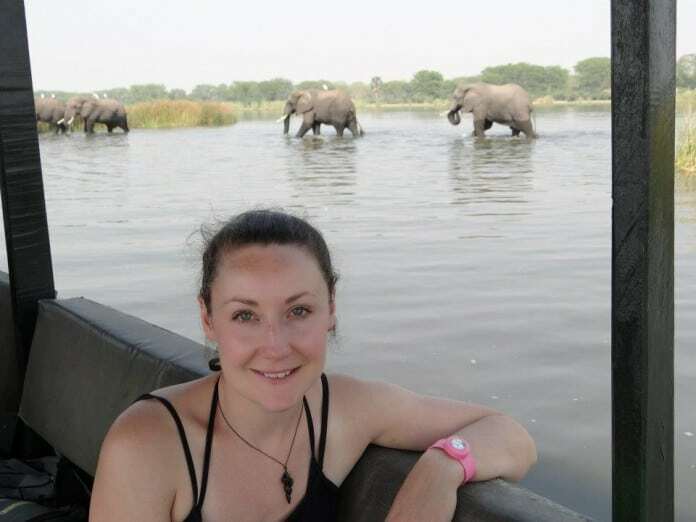 I barely made the last ferry back to Sydney after a full day in the park, but it was one of the greatest adventures I had during my time in Australia. If you’re heading to the Royal National Park be ready for awe-inspiring views and overgrown nature as far as the eye can see. 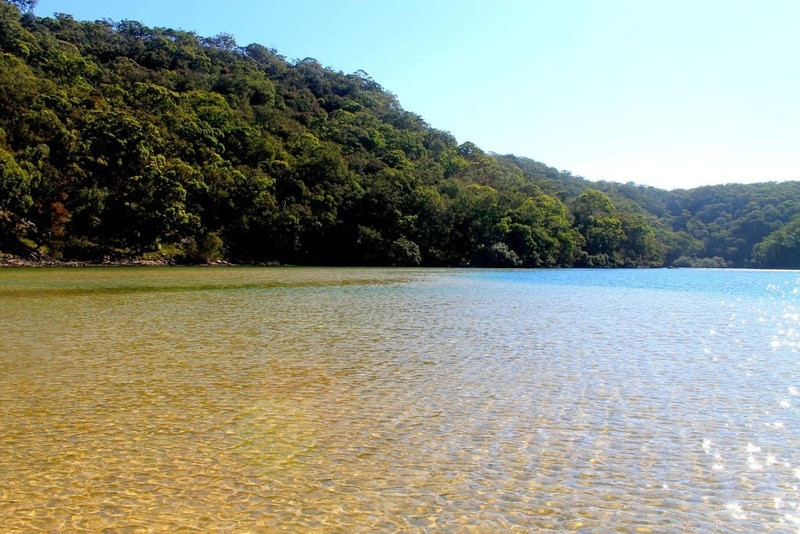 A popular overnight camping spot for local Sydneysiders, Ku-Ring Gai Chase National Park is a place straight out of a glossy travel magazine. 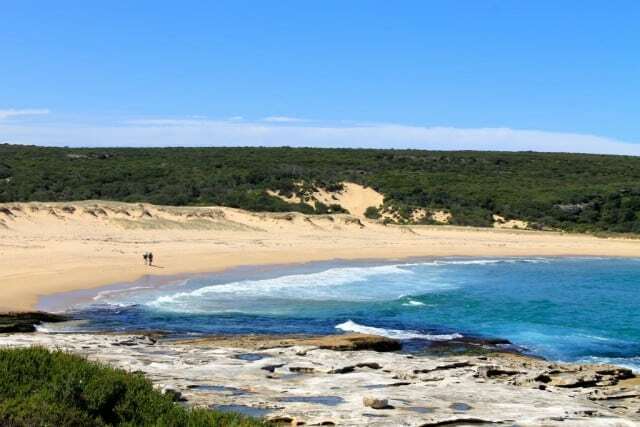 It’s the second largest national park in Australia and another one that covers a huge land mass that would be impossible to explore completely in a day. The park used to be home to the Garigal tribe and more than 800 Aboriginal sites have been found there, so it’s an ideal place to learn more about Aboriginal history in New South Wales. It’s also the location where Skippy the Bush Kangaroo (the Aussie equivalent of Lassie) was filmed, so there’s that too. 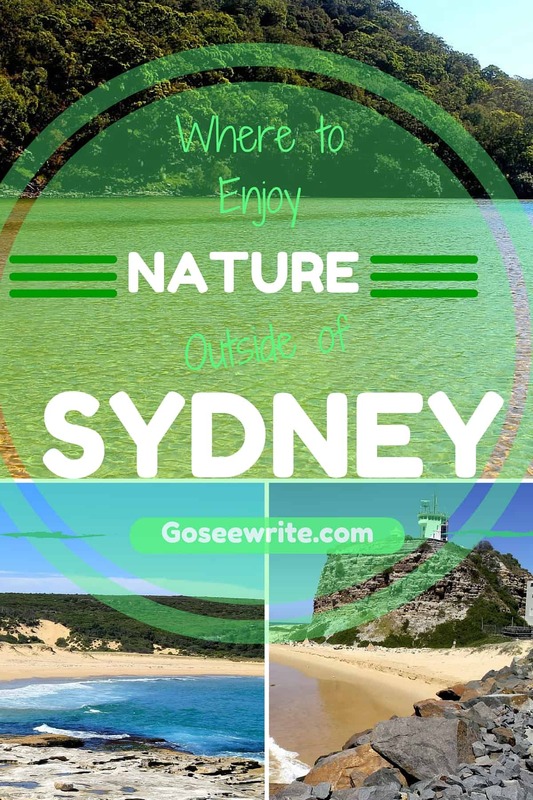 The park is about two and a half hours by public transit from Sydney and involves a train, bus, and ferry, but once you get there you’ll understand why the trip is so worth it. 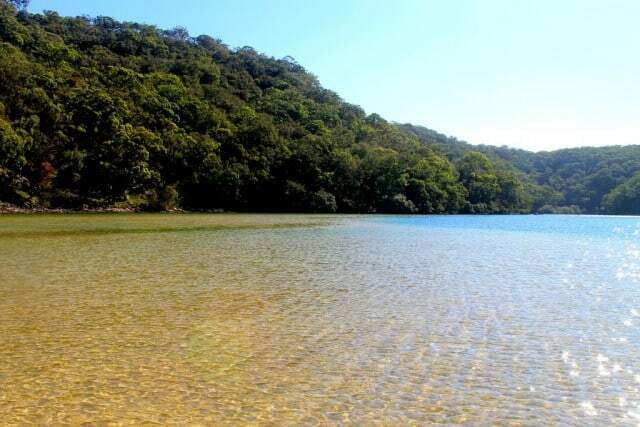 The Basin is the best spot to lay out with a nice book and go swimming, just make sure to bring a hat and sunscreen since the trails don’t have much shade to them and that Australian sun is hot! North of Sydney, the small towns of Newcastle and Terrigal up the coast are easily accessible by a train ride from the city. 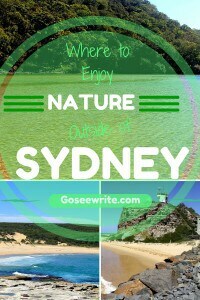 You may not find as much nature here as you would at one of the national parks mentioned above, but you will find less people and another side to New South Wales altogether. Newcastle is actually the second most populated city in New South Wales, but you wouldn’t know that once you arrive with how relaxed it is compared to Sydney. Here you’ll find quirky art, cafes, convict history, and friendly locals. And just because it’s a town doesn’t mean there aren’t opportunities to get lost in nature. My personal favorite was the Nobbys Head walk along the ocean that ended at the lighthouse and entrance to the harbor. The old Newcastle Ocean Baths are in town as well. 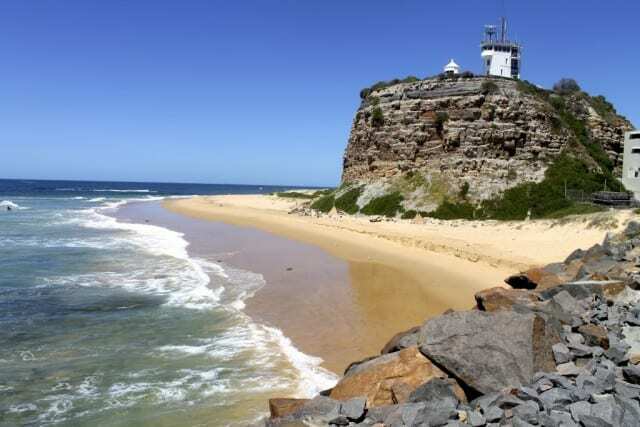 If there’s one thing you should know about Australia, it’s how much the Aussies love pools and baths in the ocean, Newcastle is no exception. But your day shouldn’t be over with Newcastle, the tiny town of Terrigal is worth a stopover as well and it’s on your way back to Sydney anyway. 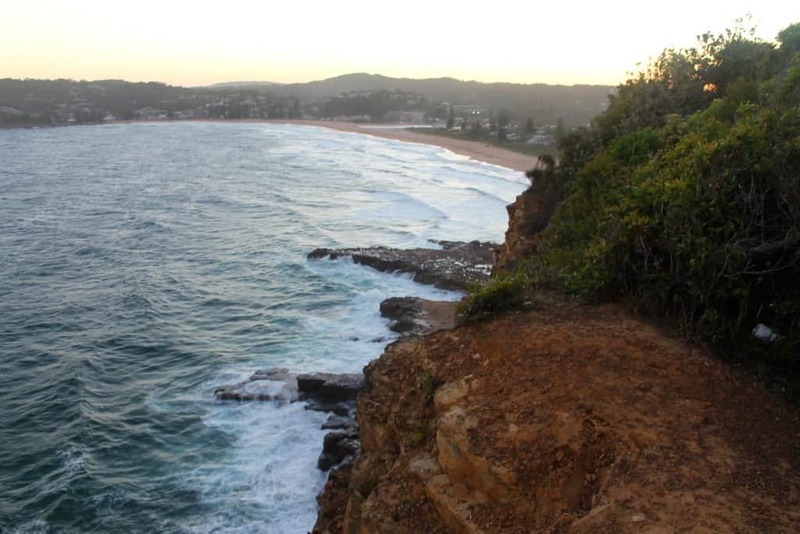 Spend the rest of your day laying on the sand at North Avoca Beach and make your way up to the cliffs for a grand lookout at sunset. I promise it will be the perfect end to your day away from the city and out in nature. This was exactly what I needed! I was discussing with friends today what are highlights to tackle outside of the bustling metropolis that is Sydney, Australia. I hope to explore the untouched parts of Australia during my 4.5 months here, and these different places seem like great day trips for those interested in unique adventures!